Of the ideas and initiatives mooted to drive profitability and success for businesses, one simple truism is often overlooked: by looking after your employees and keeping them healthy, absence is likely to decrease. With your staff working at full complement more often, productivity should soar. There are a number of ways that your employees can be encouraged to remain healthy and whilst some of them require some capital investment, others are less expensive, albeit just as effective. Healthy bodies tend to be accompanied by healthy minds, so giving your employees not only the encouragement but also the facility to stay healthy can only help in boosting productivity. One of the best ways that people can stay healthy is by taking up some form of regular aerobic exercise, which could be achieved by ditching the car or train and commuting to work under your own steam. A cycle to work scheme could encourage your employees to use pedal power rather than their cars to get into the office in the morning, increasing their fitness and reducing their carbon footprint. Providing interest free loans to employees to help purchase bicycles is a great way to kickstart this amongst your workforce and ensuring there is lockable secure bike storage available will help to keep their investment safe. Other ways in which cycling can be supported by a workplace would be to ensure that there is somewhere for staff to at least get changed from their cycling gear in the mornings. Even better would be showering facilities, so that staff members don’t feel like they have to spend their day paying for the efforts expended in the morning in getting to work. A trend which has emerged recently is employees eating their lunch at their desks, without really taking a proper break from their work. Whilst their productivity may dip slightly whilst a sandwich or similar is eaten, with one hand never straying far from the mouse or phone receiver, it is thought by many that taking time to enjoy and digest your lunch away from the desk can help productivity in the long run. Likewise, if lunch is a secondary consideration to what needs to happen during the allotted lunch break, it can be overlooked in favour of convenience foods, snacks or even worse skipped entirely. Providing employees with a welcoming and clean space away from the phones, computer screens and other working distractions in which to eat their lunches can really help you underline that the lunch break is important and a time to take on good food. Providing healthy snacks on a regular basis is a great way to promote healthy eating among your staff. Providing staff with the means to be healthy demonstrates a long term commitment to their wellbeing, which can not only help them to stay healthy, but can also encourage loyalty. Whether it is bowls of fruit, or installing lockable secure bike storage, it is the thought that counts. 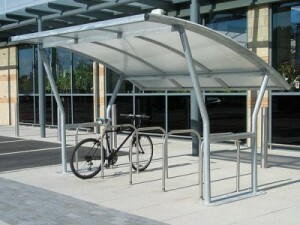 Jennifer writes articles about a range of subjects, including healthy workplaces and lockable secure bike storage. When she is not writing, she is often found running around local parks with his young children.